I have tried every diet plan imaginable. Every diet I've tried has failed miserably. I would loose a few pounds and then gain it back. When biggest loser came out I thought no way would I try anything they suggested. I watched one episode and was hooked. I decided to try the diet suggested. So I bought the book. I looked up Jillian's recipes and tried it. It's not hard. It's all about nutrition. You need to put more green on your plate and less sugar and white flour. I've found the most important thing to dieting is exercise. It can be fun believe it or not. I'm not going to say the biggest loser diet and exercise program was easy, but it does work and once it starts to work it starts to become easier and you feel better, stronger, able to do more. I have lost 23lbs so far and am keeping up with the diet. I want to loose 50lbs more. I have a goal and am going to make it. Jillian and Bob both know what they are doing and they can help anyone who are really serious about losing weight. If I can do it anyone can do it. I recommend getting one of their workouts and getting the book to help you with recipes. It teaches you how to eat right and feel good. 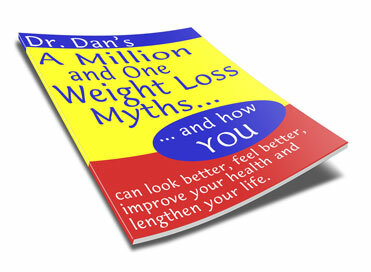 Get your FREE copy today of A Million and One Weight Loss Myths. It's FREE. Not a dime. Zilch. Nada.